Bill Hader used the anxieties he had on “Saturday Night Live” to create the character for his HBO series, “Barry,” about a hitman who wants to be an actor – though he’s awful at acting. 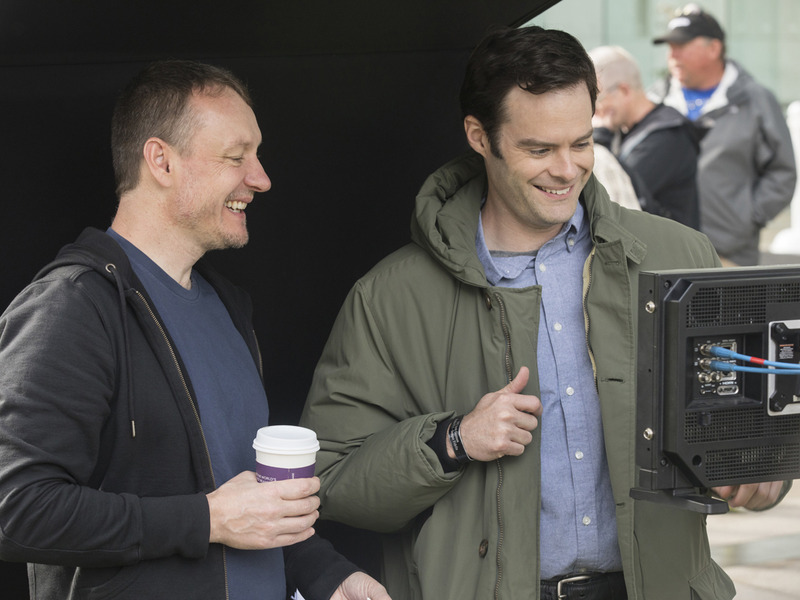 Cocreating the series with Alec Berg (“Silicon Valley” executive producer), Hader plays the title character, a former Marine who is now a hitman completely burnt out and in a midlife crisis. While on a job in Los Angeles, Barry suddenly finds acceptance when he mistakenly becomes part of a local theatre class while tailing his target. Now Barry has to try to find a way to continue his passion (acting) while continuing his day job as a hitman. The show also marks the first time Hader has ever directed, as he helmed the first three episodes. Jason Guerrasio: Was it harder to convince HBO of the “Barry” storyline or that you could play a hitman convincingly? Bill Hader: [Laughs] I think it was maybe both. To be honest, HBO was really open. They didn’t need a lot of convincing. I had a meeting with them and said, “I want to do a show,” and they said, “We’d love to do something with you.” And they had seen “The Skeleton Twins,” and they liked my performance and saw that I wanted to branch out and do more than just sketch comedy. I think if Alec and I came in and pitched a broad comedy idea they wouldn’t have been as interested. However, you say hitman and it conjures up images of a guy in a skinny tie with two 45s. Guerrasio: But you take that idea of an outsider looking for a community and then bring in the whole arc of a guy dealing with a dead-end job. The kicker is, though, it just happens to be the job he hates is being a hitman. Hader: That’s exactly what it is. We thought what’s the thing that we could relate to and just copy-paste hitman into it. Guerrasio: So why a hitman? Hader: I totally pulled it out of thin air, I’m going to be totally honest. Alec and I worked on an idea for a month and a half and it just wasn’t jelling. Guerrasio: But if it’s Jason Statham saying, “Why don’t I play a hitman?” it’s like, seen that before, but you saying it makes things interesting. 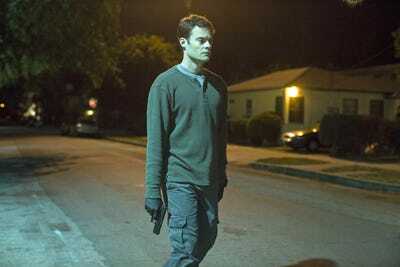 Hader: Yeah, because I said, “It’s me.” I remember going to HBO saying, “OK, it’s me as a hitman – but me.” And they laughed and we pitched what essentially the pilot was, beat for beat. How art can heal a person. I love reading, I love music, to me these aren’t recreational, they fulfil my life. So we made it as the thing this guy is good at is hurting him. Guerrasio: And is it true the show also gave you an outlet to explore some of the anxieties you went through performing on “Saturday Night Live”? Hader: 100%. That was the thing, at “SNL” the anxiety was so high. The longer I was on the show the better I was getting at the show but my anxiety didn’t go down. It was actually going up. So, again, the thing that you’re good at is destroying you. Guerrasio: Did you throw any specific experiences you dealt with on “SNL” into “Barry”? Hader: I do have a stage-fright thing, it’s gotten better. That was in the pilot a little. The closest thing in the pilot is when Barry goes to the bar with the theatre class. I remember when I first got to “SNL” I was suddenly getting to hang out with Amy Poehler and Seth Meyers and Rachel Dratch, and Tina Fey, and Chris Parnell, all these people that I admired. And I would be at a bar with them and I felt very out of place. I have to work with them and they are all geniuses and I don’t feel equipped. Guerrasio: You direct the first three episodes of the season, did that just happen by accident? 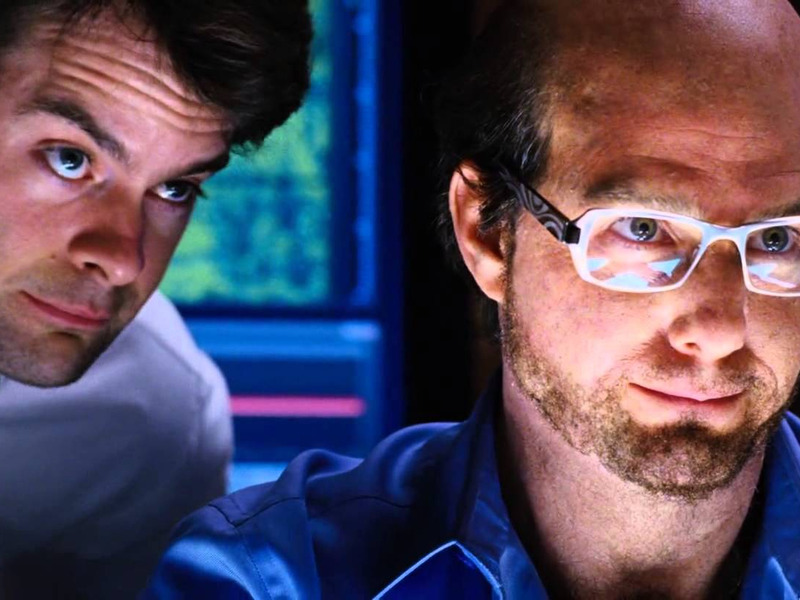 Hader: I wanted to direct. I said I wanted to direct the pilot and that was kind of a big thing. HBO came back and said, “We want to do this pilot,” and I went, “Cool, I want to direct it.” And they went, “Huh, well, have you directed before?” And I was. like, “No. But I’ve been on a lot of sets.” And they were like, “Hmm.” And I think the only reason they let me direct it was because Alec would be there and he’s directed a ton of stuff for them. It was a thing I wanted to do my whole life. Before I wanted to be an actor. My heroes were all filmmakers. So getting a chance to do that was amazing. Guerrasio: You’ve said you watched a lot of true crime shows and movies to prepare for this, was that for a visual style or story? Hader: More story. It’s so hard because you just don’t want to make it a TV show about other TV shows or movies. Guerrasio: You did not want to end up down the “Get Shorty” road. Hader: Yeah. It’s so easy to end up there. And that’s not to disparage Elmore Leonard or “Get Shorty.” I remember we were out in the desert shooting a scene and I turn to Alec and I go, “We’re doing ‘Breaking Bad’ right now.” And he’s like, “Yeah, I was thinking about that.” We’re thinking, hitman that wants to be an actor, chemistry teacher who wants to be a drug dealer, we were like “Fu–! How did we not see this?” But, I love “Breaking Bad” so it seeps in no matter what. Guerrasio: Gonna change it up a little before we’re done. Did you do any BB-8 stuff for “The Last Jedi”? Hader: No, no, no. That was really funny. That is J.J. Abrams being a really nice guy. That is him saying, “Oh, I know you like Star Wars, do you want to come in and do the thing?” But anybody could do that, what I did. It’s a Peter Frampton talk box with an app J.J. had. Guerrasio: It must be nice to be in the mythology. Hader: Yeah. I mean, I’m singing BB-8 pictures now. Guerrasio: Is there such a thing as BB-8 residuals? Guerrasio: I read once in an interview you did that you were kind of shocked to run into Tom Cruise at the premiere of “Tropic Thunder” because when you worked with him on the movie he was Les Grossman the whole time. Did you mean he was in character the whole time? Hader: No. He wasn’t Method or anything like that. It was just easy to talk to him because he was in that makeup. We’re talking about “Risky Business” and I’m asking him questions about “Eyes Wide Shut” and he was so cool and so nice, but he was dressed as Les Grossman. But then seeing him at the premiere and he’s like, “Hey, man” and I’m, like, “Jesus, you’re Tom Cruise!” and I got star struck because I finally was next to him without makeup. Guerrasio: Did you come up with any bits on the fly on set for Tom to do as Les?